After doing Coffee cup Brooch in https://www.etsy.com/listing/225726166/latte-cup-brooch-handmade-white-acrylic, I thought tea deserved its place, so I created Sweetea, for your everyday outfit! 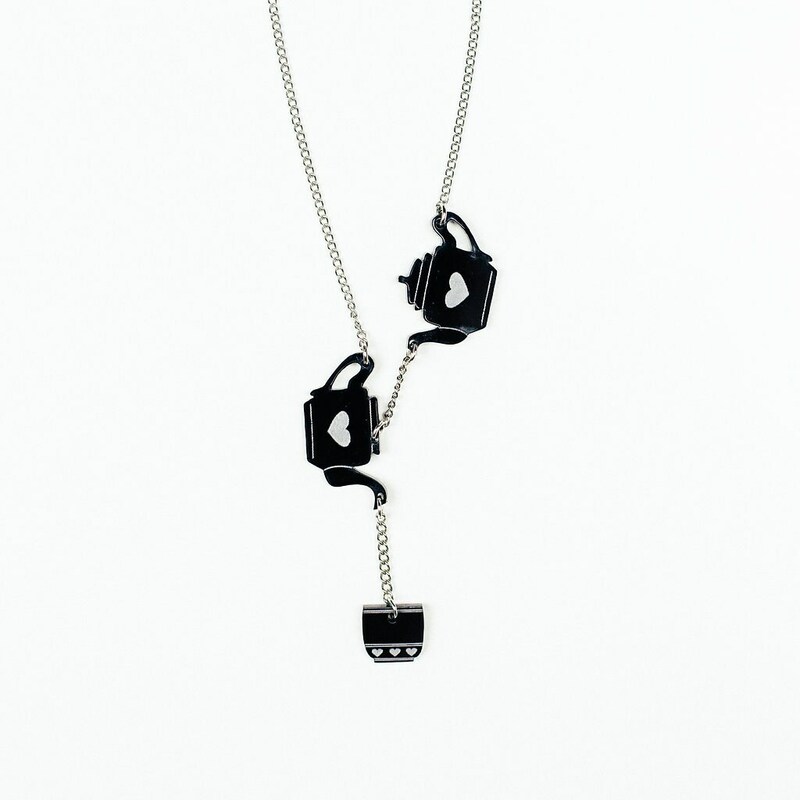 These laser cut necklace comes in a fashionable package designed to create a new way of keeping your jewelry safe and organized, or just for a perfect gift. A perfectly stylish finishing touch for any outfit! If you want the hearts painted with any color, send me a custom order with what you have in mind!